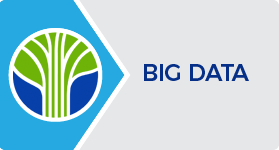 Big Data can help you create the data-driven business strategies that are critical to success. Learning Tree is proud to offer the following Big Data Programming Specialist & Expert Certifications, so you can validate your Big Data skills. As a Certified Specialist in Hadoop Administration, you have the knowledge and experience required to architect a Hadoop solution that will satisfy your business requirements and needs. You allocate, distribute and manage resources; monitor the Hadoop file system, job progress and overall cluster performance. As a Certified Specialist in Hadoop Programming, you will be able to write, customise and deploy MapReduce jobs to summarise data, load and retrieve unstructured data from HDFS and HBase, and develop Hive and Pig queries to simplify data analysis. As a Certified Specialist in Big Data Analytics, you have the knowledge and skills to build competitive strategies around data-driven insights. You perform predictive analysis using the appropriate data-mining approach and work with analytics tools including R, Hadoop, RHadoop and Mahout. As a Certified Expert in Hadoop Programming, you have demonstrated the ability to develop solutions that run on the Hadoop platform, write, customise and deploy MapReduce jobs as well as load and retrieve unstructured data from HDFS and HBase. You have the expertise to leverage Pig and Hive to prepare and analyse large data sets. Certified professionals of this programme possess the expertise to build competitive strategies around data-driven insights. They have the expertise to work with Hadoop, RHadoop and Mahout as well as leverage Pig and Hive to prepare and analyse large data sets.